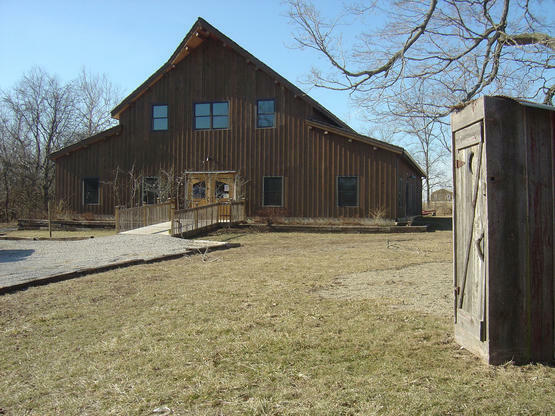 Describe the barn: The overall footprint is 100’ long X 88’ wide and is built on a concrete slab. 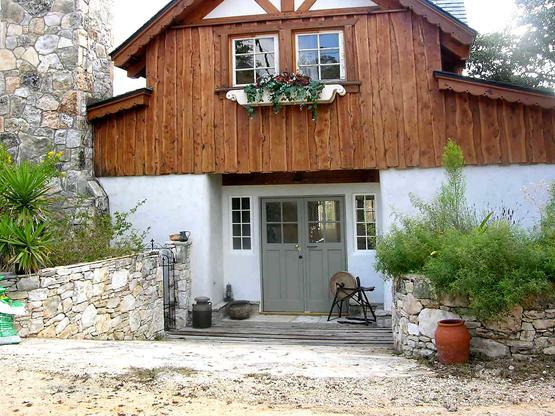 The center section is a Timber Frame that is 40’ wide and 24’ deep in the entry/foyer area that has 2 horse stalls on each side as you enter from the north gable end. An interior framed gable separates the foyer from the grand hall, which is 48’ wide and extends another 76’ in length with fully open cathedral ceilings. There are conventionally-framed shed wings on each eave side of the barn that have large heavy timber rafters with tongue & groove decking above to create the ceiling. 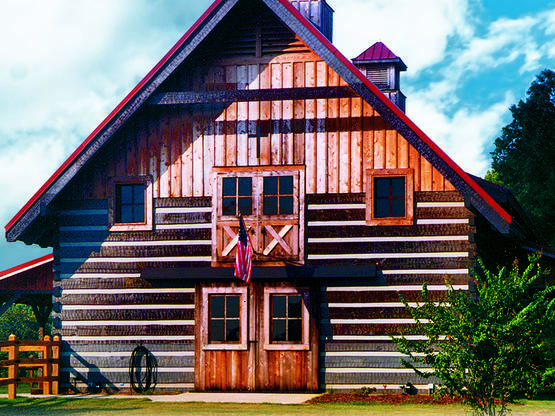 Information about the customer: The owner’s of this beautiful barn are in the hospitality business and own several upscale hotels in Florida and in other states. 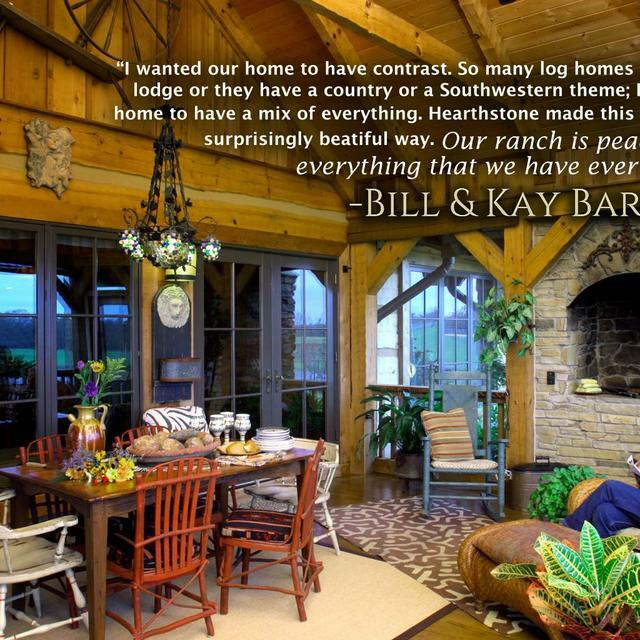 They own cattle ranches in Florida and Missouri. 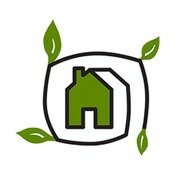 Their Ocala is a unique property that is a 4-H demonstration project with children’s education a priority. 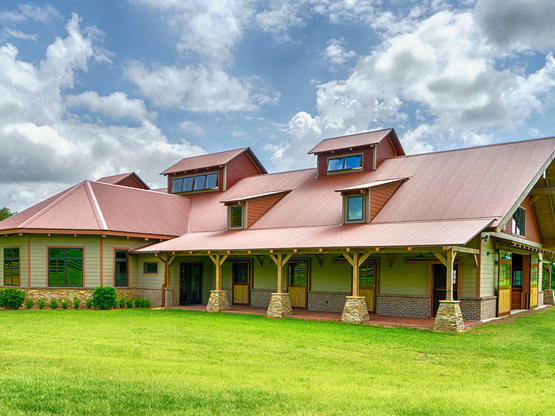 Besides the rustic chicken houses and vegetable gardens, this customer has completely renovated a 1020’s era farmhouse to be as historically correct as possible and serves as the entry to the farm. Anything unique about them or their family? They raise Gypsy Vanners, a diminutive draft horse (think about the Budweiser horses, but much smaller). These horses are named after the job they did in Eastern Europe, pulling the wagons (vans) for gypsies that wandered across the continent. On the Ocala farm, there are several mules with a unique profession. To avoid the stress of breeding and birthing, the fertilized Gypsy Vanner embryos are transplanted into the mules, who then carry the foals to birth. How did they find Hearthstone? 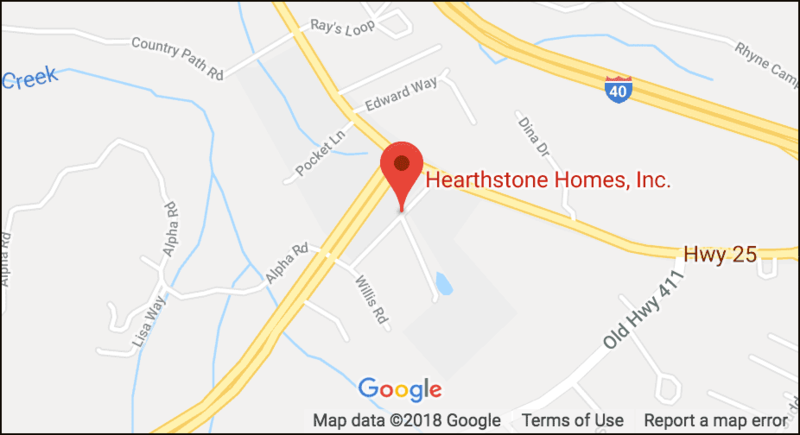 One of their employees had visited the Hearthstone display at one of the Log & Timber Home Shows many years ago when it was held at the Orlando Convention Center. Why did they choose Hearthstone? The customer was impressed that Hearthstone had stayed in touch with him over the years by mailings, invitations to shows, and periodic phone calls. 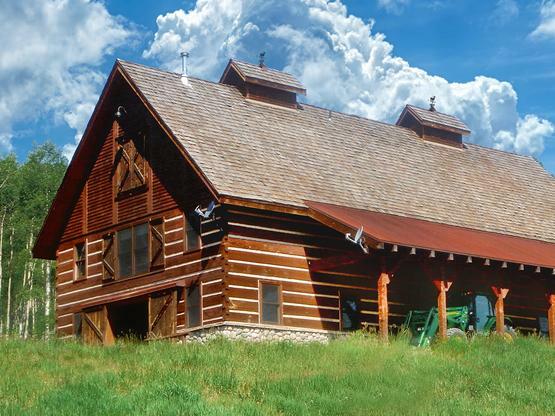 When the time came to start serious consideration on the design of the barn, Hearthstone responded promptly and professionally to his requests for information and a review of his ideas for an impressive barn, which was to be the centerpiece of the new farm. Describe the customer needs/wants: They wanted a multipurpose facility that could accommodate the educational needs with a large hall suitable for the fundraising events for his charities. 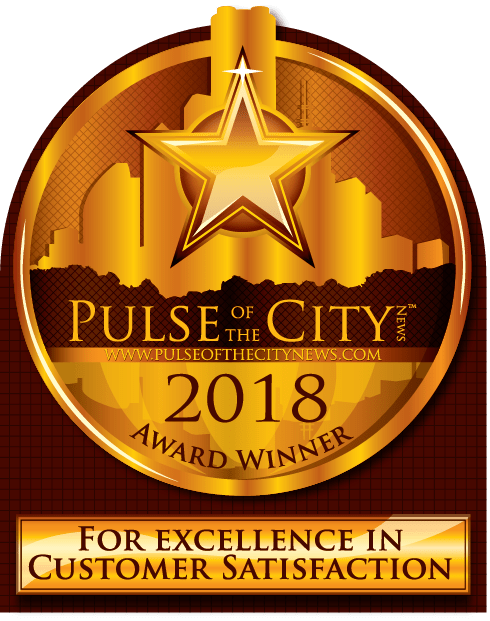 Academy Prep of St. Pete is one such mission and consists of mainly inner-city youths that are selected on the basis of need and achievement that can benefit from such an environment. 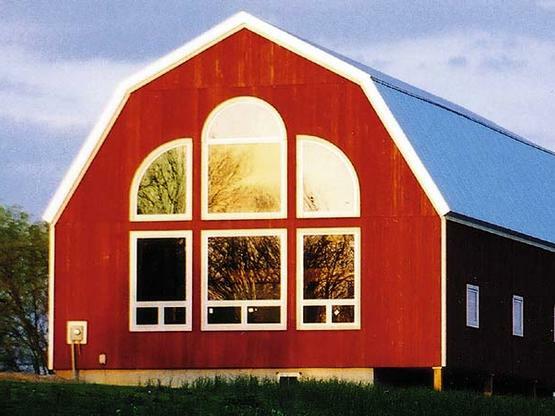 He wanted a barn that reflected the look and feel of barns built at the dawn of the 20th century. 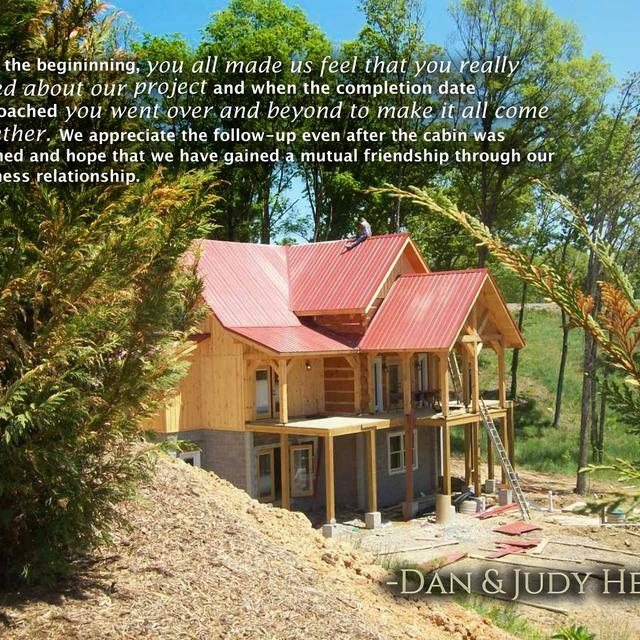 Preconstruction: They were very careful to feel us out, get comfortable with our capabilities, and be convinced that we could perform as promised. 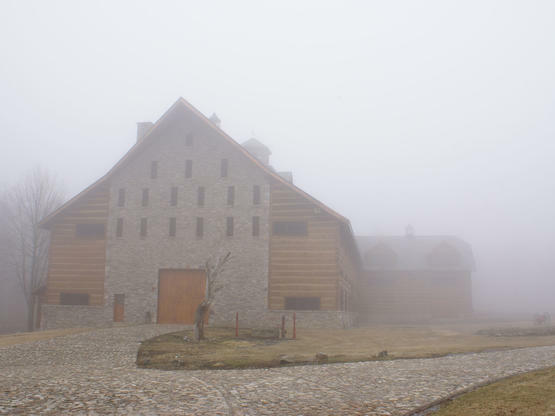 Design: There were some initial drawings that gave us a start on the basic shape and size of the barn. From there, it was a process of narrowing down the uses of each area and the spans that could be achieved. 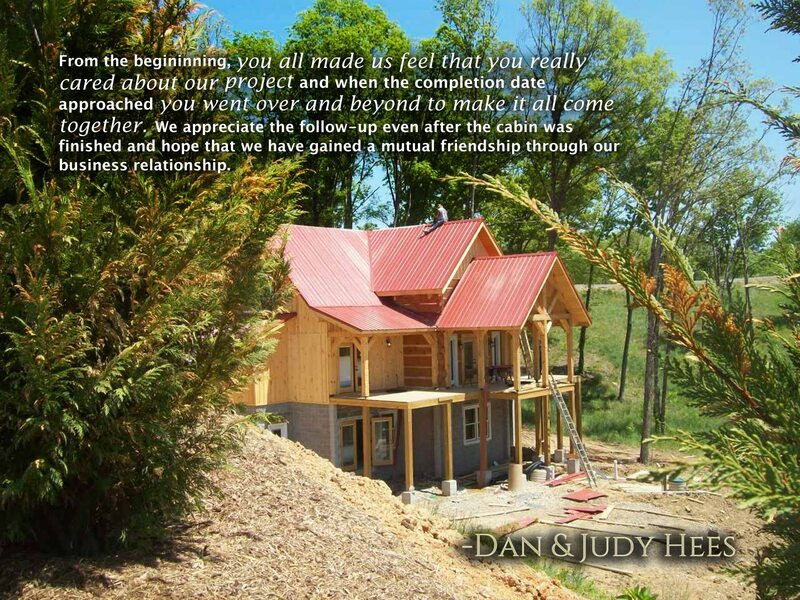 The barn was going to have the traditional “board & batten” exterior siding and a metal roof. 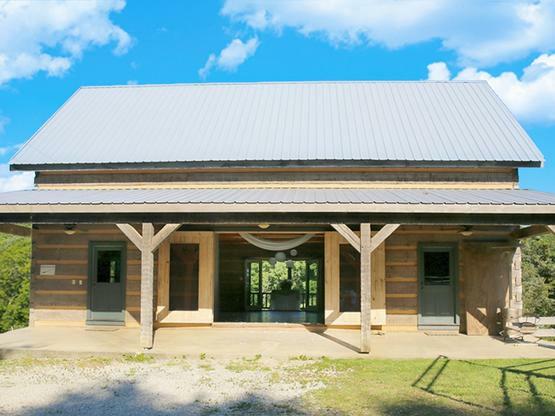 There is a cantilevered ‘hay hood” on the north gable end above the large sliding barn doors that open into the foyer and horse stalls. The wings house a combination of areas, beginning with the large restrooms to accommodate crowds for events. Other parts of the wings have garage areas for the farm vehicles, feed room, tack room, wash rack, storage, offices, and smaller restrooms. 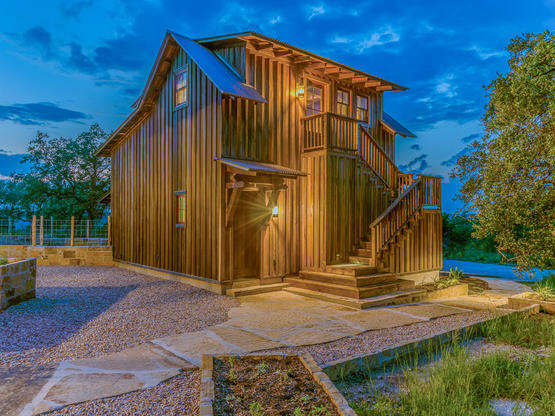 Production: In keeping with the look and feel of the turn of the century, Hearthstone developed a process for giving the timbers a surface texture that mimicked the circular cuts of timbers that had just come out of an old sawmill. This was easier said than done. Randy Giles guided his millwright (Wolfgang) in designing a machine that would do this effectively. Pre-Delivery: While Hearthstone was cutting the frame in Tennessee, the owner’s crews were busy leveling the site, pouring the footers, and roughing in the plumbing and electrical conduit so that the slab could be poured. Delivery: The barn was delivered in October of 2014 and was erected over the course of two weeks, thanks to a hardworking crew (Eric Foster) and near-perfect weather. The crew erected the frame and installed the tongue & groove decking on the roof while the owner’s carpenters built the shed wing walls. The crew then erected the huge shed roof rafters and roof decking before applying a layer of 5/8” sheathing above the decking to create a stronger structural diaphragm across the huge expanse of roof. Construction: After the Hearthstone crew completed the erection and roof dry-in, it was time for the local carpenters to step up and install some light conventional framing on the gable ends before applying the roof fascia and exterior board & batten siding. 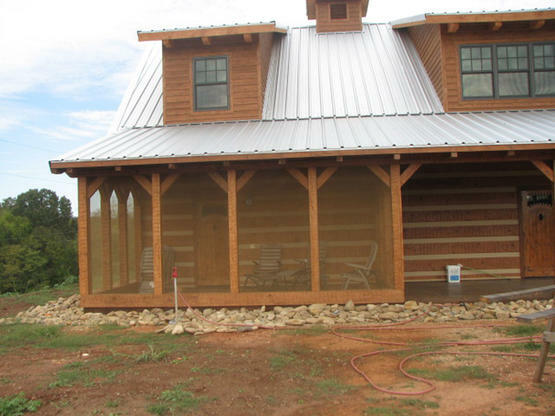 Next came the big sliding barn doors, plumbing, electrical, heating, and cooling. Large rustic fixtures were hung from the great hall roof timbers. 8. 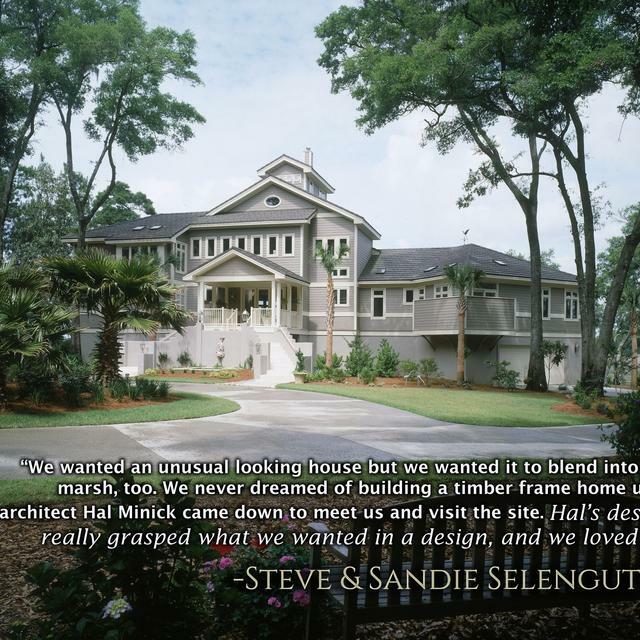 Describe the exterior finishes, landscaping, and general area in more detail: The board & batten siding was cypress and allowed to turn color naturally as rain hit it and the sun started working on it with UV rays. This method causes a much grayer look closer to the ground and less so where the roof overhang provides protection. Additional concrete pads were added at the front and rear, where the sliding barn doors are located. The North end has some large limestone boulders and planters arranged around the pad with tall pampas grass. The planters provide casual seating before events and during outside receptions. 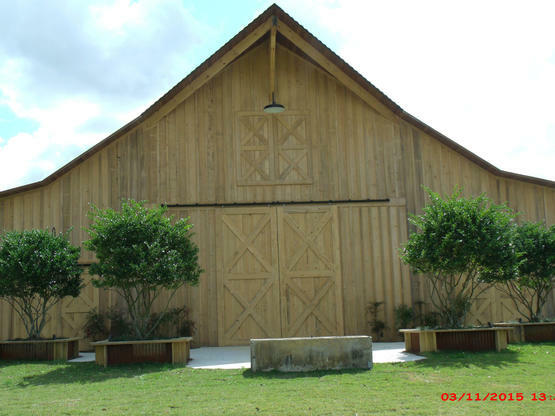 The entire area was sodded with lush St. Augustine grass and split rail fences were added to enclose the barn area. 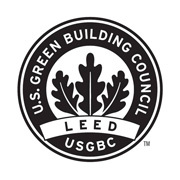 The corrugated metal roof was a special order material that immediately rusted after being exposed to moisture. The layer of rust protects the metal from the elements. 9. 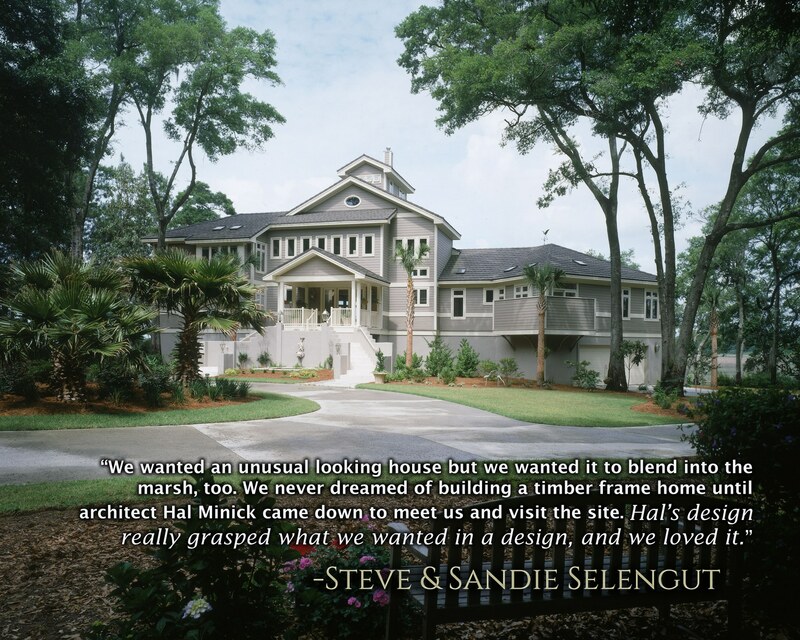 Describe the interior finishes: The board & batten theme was carried throughout most of the interior with the timbers left natural to show off the circular saw texture. All of the tongue & groove decking was shipped in advance to allow the local painter to pre-stain it with a dark brown transparent stain that is a beautiful background to the light color Eastern White Pine timbers. 10. What was unique about this project...circumstances/outcomes? Everything was unique in this project. 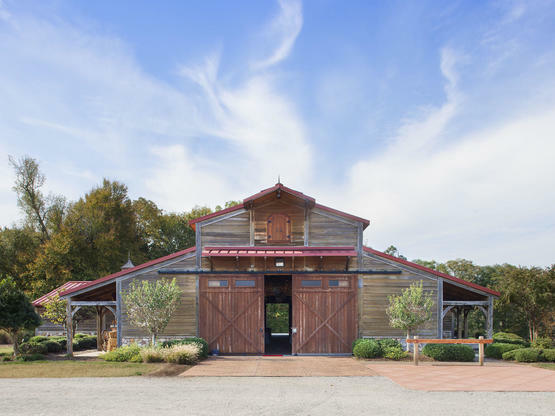 The setting on a small demonstration farm close to Ocala, the multipurpose design, the circular saw texture on the timbers. 11. Biggest overall challenge? Designing and perfecting the machine and the process for adding the circular saw texture. 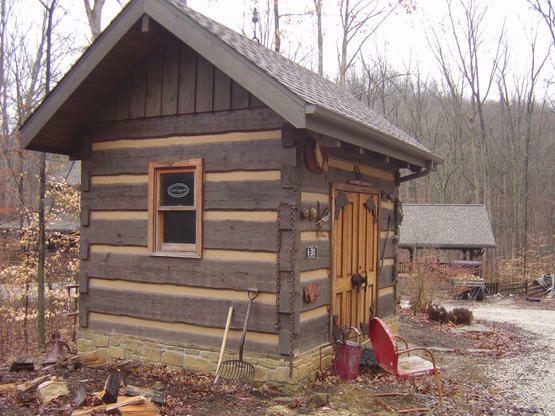 To be precise enough for cutting the intricate joinery, the timbers must be planed to a consistent size. Once the joinery is cut, the timbers can then be textured to look like they were cut in an old style circular saw. We also added some faux bug holes to the timbers, giving the same effect that you might see after some wood borer infiltration in antique timbers. 12. 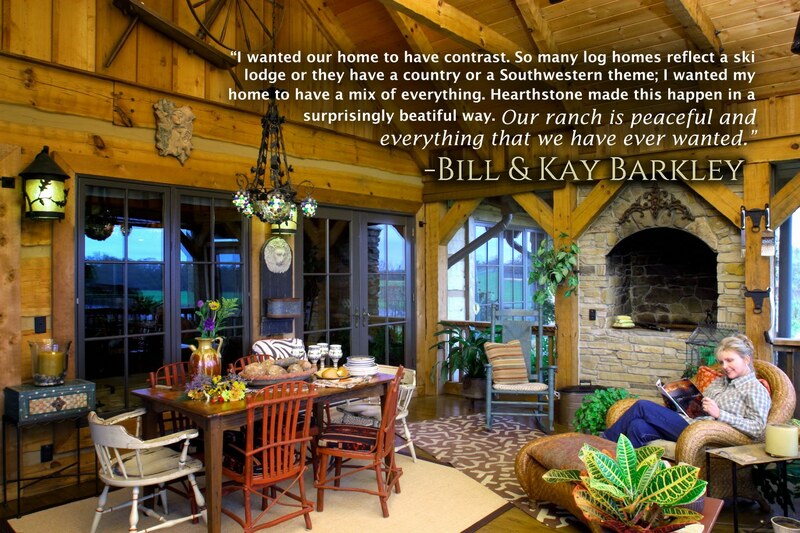 What is your single favorite feature of the log home/barn/structure? The big cantilevered hay hood on the north gable end. There is a false upper-level barn door above the sliding barn doors, this is where hay would be hoisted up, pulled into the loft, and stored for the winter in a working barn. 13. 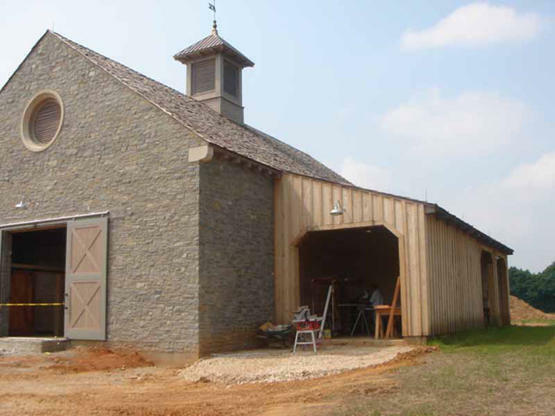 Describe the customer’s response to the finished product: They were very satisfied with the end result and recommended Hearthstone to a friend of his that wanted a barn. His first event there was a bar-b-que and fundraiser that featured Sawyer Brown from Nashville, TN as the entertainment, even though the barn was not quite complete at the time. 14. Looking back, what would you have done differently? Nothing comes to mind. The design challenge of having a 40’ wide foyer/stall entry that transitioned to a 48’ wide grand hall was unique because the outside roofline needed to remain consistent. This was solved with a cantilevered rafter assembly that extended down the roof slope and held the 4x14 leave beam that the heavy timber shed rafters were attached to. Problem solved.